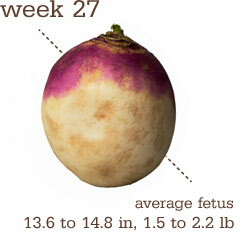 At week 28, baby is putting on layers of fat and weighs in around 1.5 to 2.5 pounds, measuring about 13.6 to 14.8 inches. Her skin has a smoother and less wrinkled appearance too. And her lungs are mature enough that she could probably breathe on her own if she were born prematurely. Plus, her eyes, which can open and close now, can sense changes to light as well. Good – cold! We had a decent cold front come through, and this time, when they call it a cold front I’m not scoffing that they should actually be saying “cool front”. It really has been cold! Down close to freezing at night and not really getting above 40 during the day. And rainy. And windy. 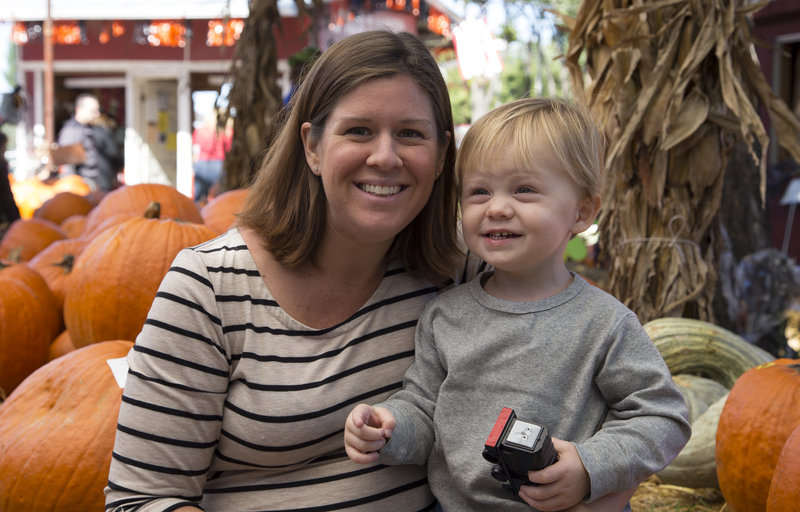 It’s been fun…a change of our normal pace. But the forecast does show that we’ll be getting back up into the 70s next week. 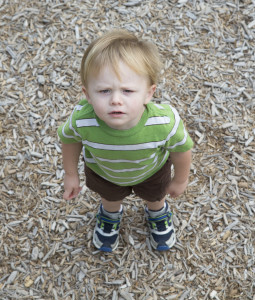 Which will be nice since we have been missing outside playtime. I don’t mind playing outside in the cold, but the rain sort of ruins it all together, you know? Physically, I’m well. I think the baby has shifted position and might be head down now? I have felt two bouts of hiccups that were very low down, so I think his head is that direction, so that’s good news. 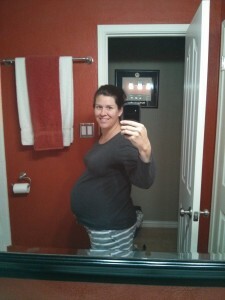 I’m hoping at my appt next week the midwife and feel around and tell if that’s true. Also, I think after this appt I’ll start going in every 2 weeks. Which…holy cow, how did that sneak up on us so fast?! I’m pretty sure my little ticker thing says I’ve got 83 days left. 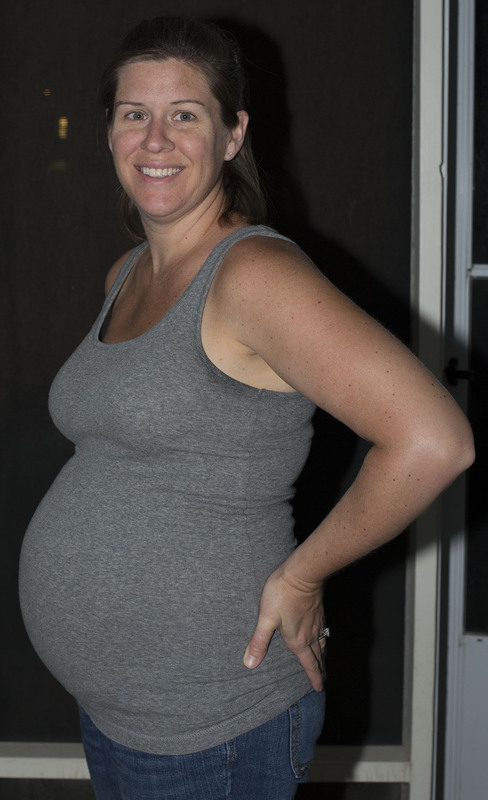 On one hand, I’ll be glad to not be pregnant anymore…this one hasn’t been quite as fun as the first one was. Not because it’s a worse pregnancy, but because I don’t get to do exactly what I want whenever I want this time! Last time I could lounge around or go for a walk or read or shop whenever I so desired, and this time, I’m on someone else’s schedule, so even when I’m tired or grouchy, I’ve still got to be on the ball. Welcome to the next 18 years, right? 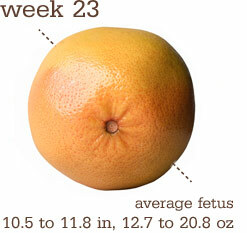 But on the other hand, I’m feeling a little sad that this will be my last pregnancy. I’m not wavering on that, mind you, just feeling nostalgic about it. This will be the last baby stage and toddlerhood we go through. I guess we had really better enjoy it and then we’re on to bigger and more grown-up kid things! Still waiting for my next appt. I’m looking forward to eating on Thanksgiving. And putting up my Christmas decorations. And trying to explain the advent calendar process to Urijah, and fully knowing that once he sees a piece of candy come out of one of the pockets, he’s going to want to look in each pocket and eat all the candy right away. And I’m missing Nan, like I always do more at Christmastime, because really, this was her time of year. 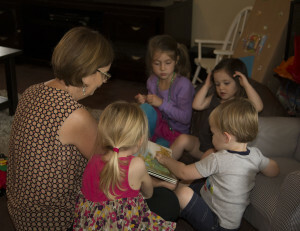 But I’m wishing that she could have met these great-grandbabies and seen how amazing they are (and will be!) and that they could have known how special she was. And then I remember that she was my grandmother, and they have their own grandparents that are just right for them and I can keep her for just myself (so to speak. I’ll always share her with Ali and Lisa, and that actually makes it even better.) I can’t wait to see how the grandparent/child relationship grows overs the years…especially around the holidays, when my own memories are the strongest. No change here..but when I start thinking about that 83 days, I feel a little bit like we are slacking and better get on the stick! I think the highlight of this week will be Thanksgiving! We’ll probably have some pictures from Thanksgiving so I’ll come back and post one then! 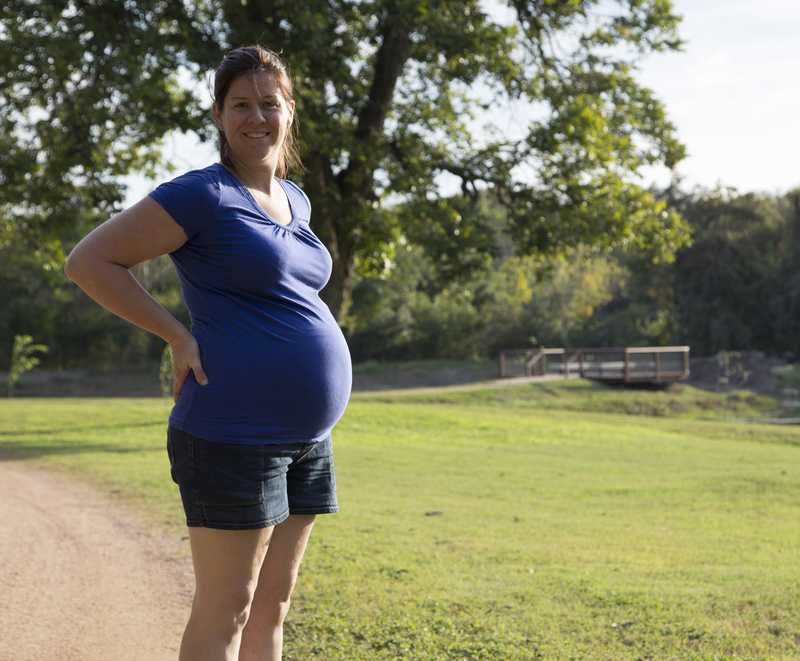 27 weeks – a week late! 26 Nov 2013 Comments Off on 27 weeks – a week late! 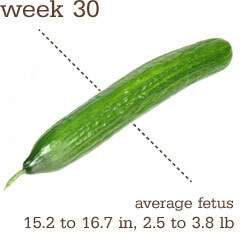 Your baby is now 13.6 to 14.8 inches long and 1.5 to 2.5 pounds! And she’s not just getting larger, she’s becoming a complex little human being. This is the earliest she could survive outside of Mommy if delivered prematurely. Her brainstem, which controls most of her vital functions (such as heart rate, breathing and blood pressure) is nearly fully developed by this point, and her cerebral cortex (which forms consciousness and allows us to think, feel and perform voluntary actions) is growing more and more, maturing and becoming more complex during the last trimester. So don’t be surprised by baby’s karate kicks in your belly. She can stretch and make grasping motions now too! Things are starting to get real! We’re getting so close. When I say I have 3 months left it sounds like forever, but when I say I have 13 weeks left (well, almost 12 now, actually) that feels like a snap of the fingers. I’m sleeping well, which is really nice, feeling pretty good throughout most of the day, and the baby is moving around nice and regularly. I think he might have shifted positions yesterday because I was having a bunch of sharp jabbing pains in my upper right rib area when I would sit down, so I think maybe that was a foot or something jamming me? I’m not sure, but that’s my guess. It seems better today, so maybe it was just a weird position. I feel like my hair has finally gotten to the nice and lustrous stage too, which is fun. It isn’t getting as oily as quickly as it used to, so that’s a definite plus, since I don’t get to take a shower everyday. The bed and tables and mattress and boxspring are all sold! I pulled everything out of the closet in the guest room, so I could see what I was dealing with, and now I just need to find new storage homes for it all, or at least move it to some unobtrusive corner until I can empty all the baby stuff out of the spare closet and then put the other stuff in that spot. It’s like one of those little puzzles that has one empty space and you have to shift all the pieces around until you can get each one in the exact right spot…just with holiday decorations, baby stuff, luggage and random crap. Today it is 39 degrees and rainy! VERY rare for November for us, and I’m loving it! 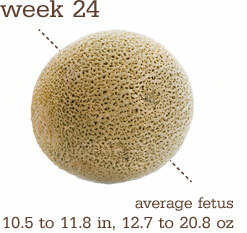 25 weeks: Your baby measures about 13.6 inches to 14.8 inches and weighs about 1.5 to 2.5 pounds. 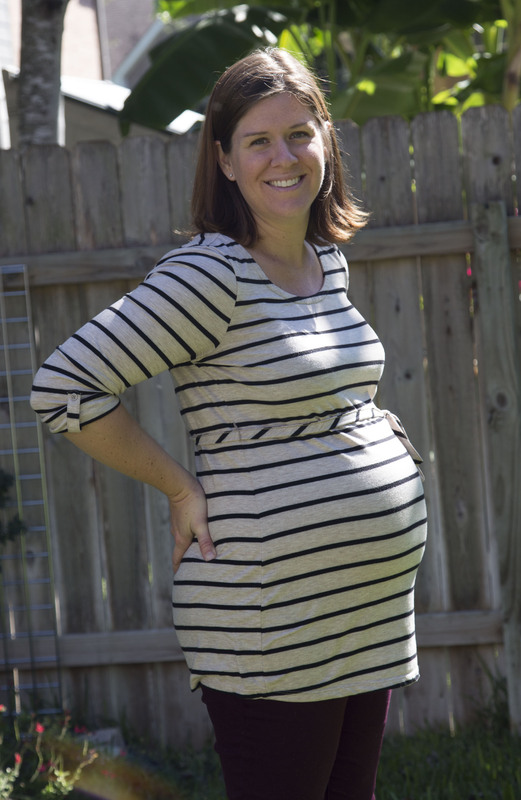 During week 25, baby’s nervous system is rapidly developing, and she’s enjoying her new sense of equilibrium, knowing which way is up and which is down. Plus, she’s growing more hair too! Will she have Mommy’s hair color? Daddy’s hair color? Or a different color altogether? The suspense of what baby will look like is building! 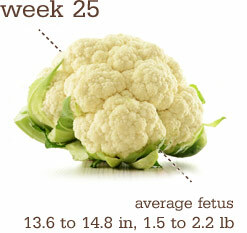 26 weeks: Baby is still growing in the 13.6- to 14.8-inch and 1.5- to 2.5-pound range, and while her eyes are still forming during week 26, they’ll open soon. Hello, baby! Her eyelashes have grown in, too, and she’s getting her immune system ready for the outside world by getting antibodies from you. Plus, baby’s little lungs are starting to produce surfactant, the fatty substance that coats the inside lining of the lungs’ tiny air sacs, helping them to expand during breathing. And her skin has developed its color as well, because her body is now making melanin. Pretty good…every day! Till about 6:00…that’s when the energy decline starts and the random aches and pains start to kick in. I feel like I just can’t lift Urijah one more time, and I need to sit down for just one minute. Whew. But then if I sit too long, the lower back pain and bit of sciatica start to kick in…so. everything in moderation, huh? Sleep has been kind of weird the last couple of nights. I toured a private preschool yesterday for Urijah (he won’t be able to start there until he’s 3, but I thought I’d check it out now to know if it was something we were interested in.) and the night before we went I had panic dreams about packing him a lunch and the anticipated dropping him off at school dramatics of crying and all that, and then last night after we did the tour, I couldn’t turn my brain off from thinking about the details. It probably didn’t help that I gave Scott the full run down of all the info right before bed, so it was all just running through my mind. Hopefully tonight will be better. 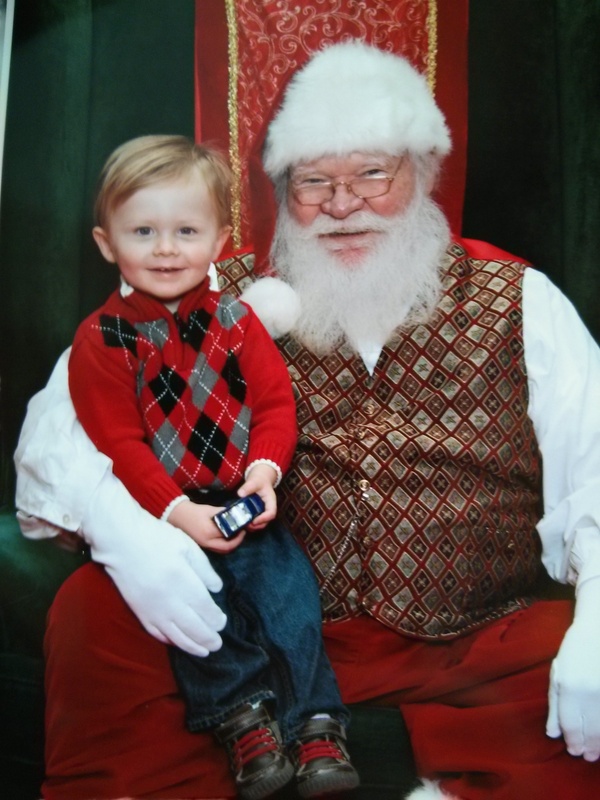 That is, until I schedule the next tour of a school for him to start going to after Christmas. I was up exactly 20 lbs at my appt on the 7th. Everything else checked out just fine, though. 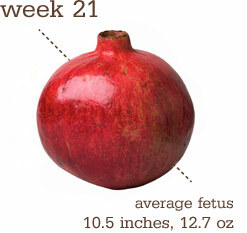 My BP was good, and the heartbeat sounded nice, and we think the baby is laying transverse, or crossways, right now. We’ll see if that changes over the next few weeks. Well, so far, the early darkness from Daylight Savings Time ending hasn’t been so bad. I forgot how cozy it always makes it feel inside the house. To know it’s getting colder out there and darker as well. Makes you glad to be safe inside. But I have decided that it’s a fun thing to do if we take an after dark walk…so a couple of times we’ve gotten out the stroller and taken a stroll around the block when it’s totally dark. We like to find the moon and I like to check out all the houses that leave their lights on and curtains open. Everyone wins! I’m looking forward to the super cold front that we get today and tomorrow…40s! 20s tonight! Woohoo! And then after that, starting to look forward to heading to Houston for Thanksgiving. 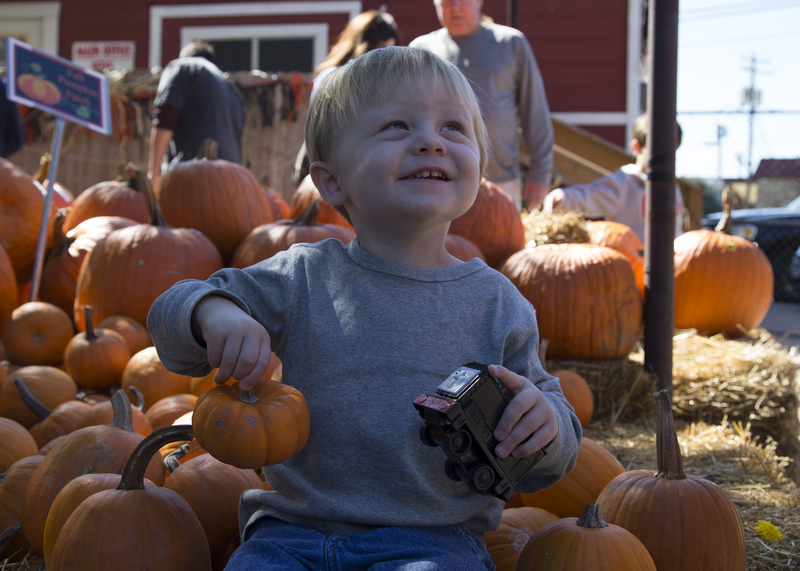 This year it’s going to be at Nanny and Paw-Paw’s house, and my mouth is already watering for sweet potatoes and mashed potatoes and gravy and….. mashed potatoes. Oh…did I say that already? Nanny and Paw-Paw have lots of land and U is going to have a fun time investigating it all…plenty of things to check out there, so it should be a fun day! And I think we’ll continue to have cooler weather so it might not be a shorts and flip flops Thanksgiving this year, which would be awesome. We’ll see though! It is Texas, after all…you never know what that weather might do. I sold the guest bed and side tables! The mattress and boxspring are still here though. I had a good possibility for those , but the guy flaked out, so I’m back to square one. I’ll repost them on their own and see what happens. The sleep-depriving school tour was kind of a highlight….in that it felt like such a big next step for our lives. Thinking about U going away from us for part of the day feels very foreign, but I think he’ll love it once he gets settled in, so it’s something to look forward to. No week 25, but here’s week 26. Also, we passed the 100 day mark this weekend! Only 97 days to go. Whoa. 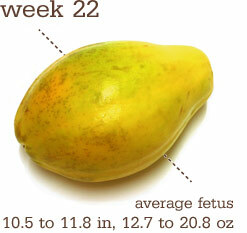 Your baby’s growing steadily, having gained about 4 ounces since last week. That puts him at just over a pound. Since he’s almost a foot long (picture an ear of corn), he cuts a pretty lean figure at this point, but his body is filling out proportionally and he’ll soon start to plump up. His brain is also growing quickly now, and his taste buds are continuing to develop. 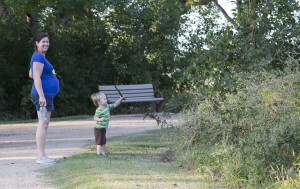 His lungs are developing “branches” of the respiratory “tree” as well as cells that produce surfactant, a substance that will help his air sacs inflate once he hits the outside world. His skin is still thin and translucent, but that will start to change soon. Good – not too much to report, really. Lots of good movement the last couple of days, so that’s been nice. My energy is good. I’ve been taking some naps on the weekends, which has been really nice, and the weather is wonderful so we’ve been outside getting a lot of fresh air! I think I’ll wait till my next appt on the 7th for this! I’m not really looking forward to Daylight Savings Time kicking in next weekend. I love the onset of fall and winter, but I could do without it getting dark at 5pm. 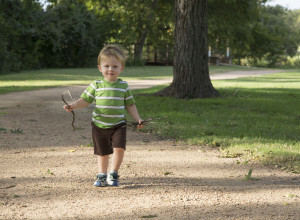 We like playing outside in the evening when it feels the most pleasant, so this will be hard to adjust to. Maybe we’ll just use flashlights. No change here. I got pictures of the bed and tables taken so I just need to get it posted online for sale. Then comes cleaning out the last bits and pieces and painting and carpet cleaning! I washed all the newborn and 0-3 month clothing this weekend, so that counts, too! Hmmm…nothing I can think of, specifically. We’re kind of in same-old, same-old mode right now. 23 Oct 2013 Comments Off on U is 2! 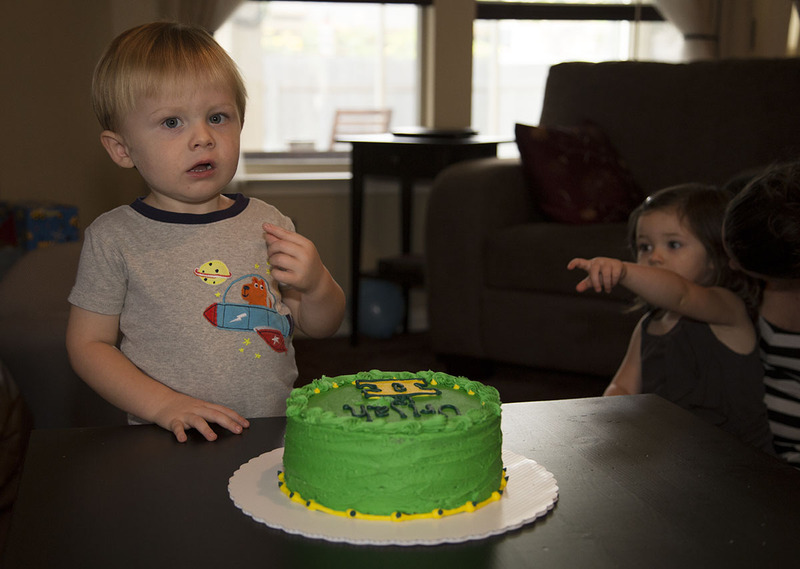 Well….U’s second birthday has come and gone. I handled this one much better than the first one…I think because it didn’t feel like I was losing my baby this time. He was already feeling like a big kid, so this was just another step in that direction. 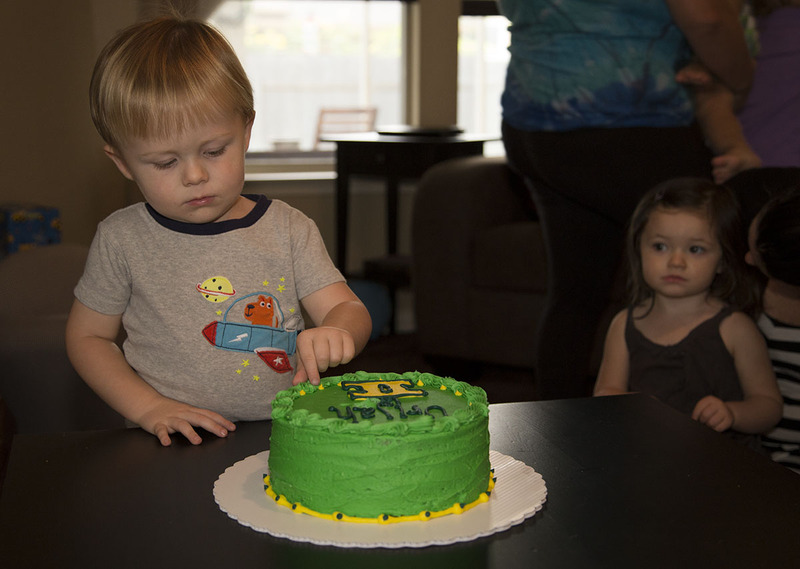 We had his birthday party on Saturday, which was the day before his actual birthday, and it was great! I think we all had a pretty fun time. The balloons were such a hit – I’m going to remember that as a sure-fire entertainment method for kids’ birthdays from now on. Cheap and easy! Urijah and Ada played with them for days afterwards, too. And food! I think the missing thing in this picture is the sandwiches, which Dad had gone to pick up for us. This series of pictures cracks me up – it was right after U had blown out the candle and decided to sample the frosting. His and Ada’s reactions are just perfect, I think! She is keeping a close watch on things. Thanks Nanny and Paw-Paw for my new bike and helmet! 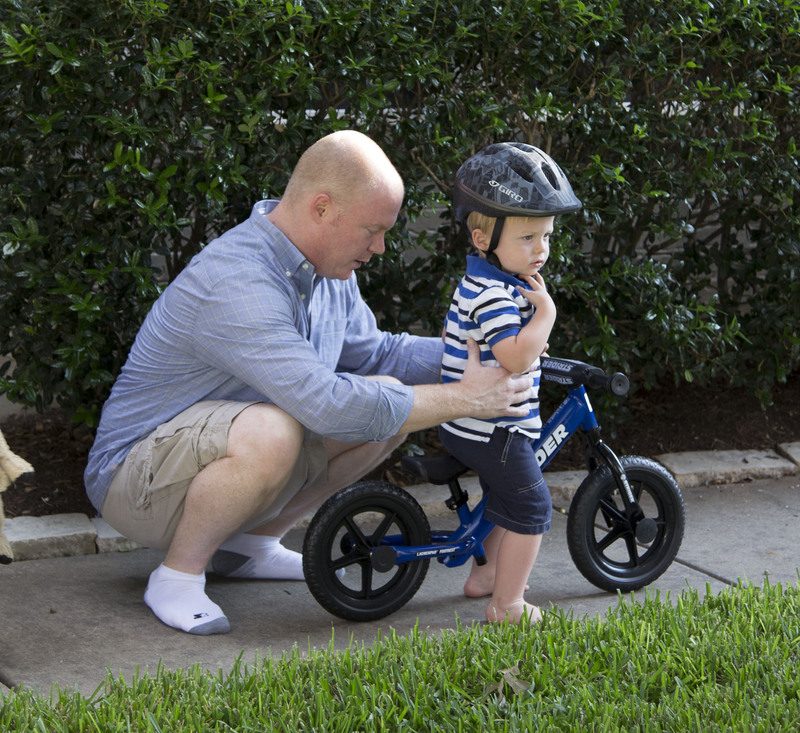 This was the maiden voyage…I think it’s going to take some practice, but he’ll be off and rolling soon, no doubt. Ada had a bit more experience so she actually got moving a bit on her turn! 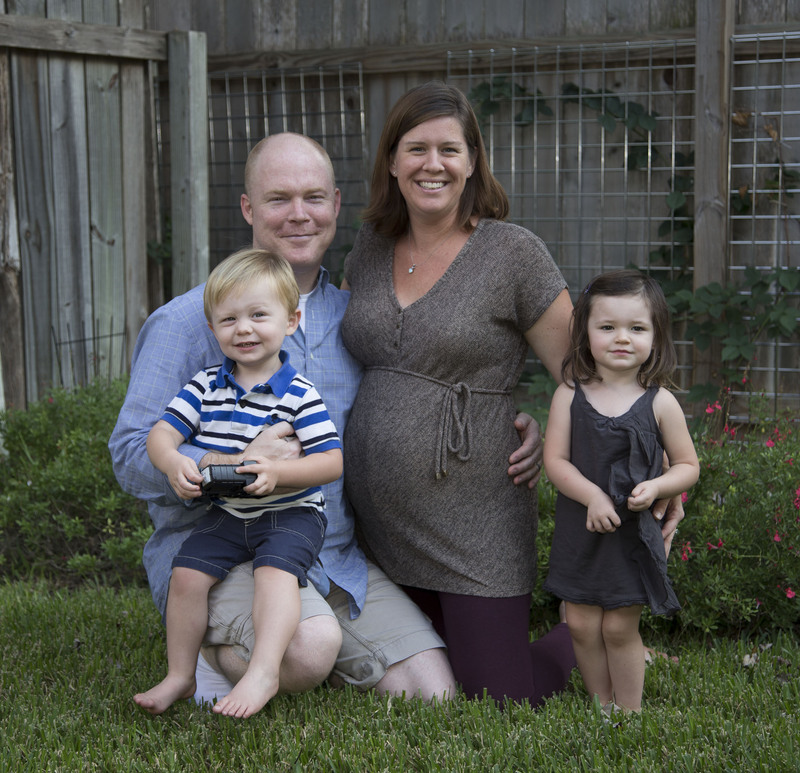 We took advantage of all of us being dressed nicely and looking decent to get some good family pics….and this one probably is my favorite since we had an addition! This is how our family would look if we had had twins…although they couldn’t look more different, right? Since there was so much excitement going on around here with 2nd birthdays and family visiting, week 22 got overlooked so I’ll lump it in today! 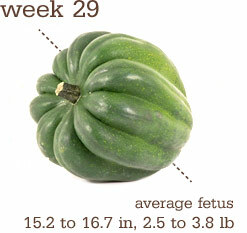 Week 22 – At 11 inches (the length of a spaghetti squash) and almost 1 pound, your baby is starting to look like a miniature newborn. His lips, eyelids, and eyebrows are becoming more distinct, and he’s even developing tiny tooth buds beneath his gums. His eyes have formed, but his irises (the colored part of the eye) still lack pigment. If you could see inside your womb, you’d be able to spot the fine hair (lanugo) that covers his body and the deep wrinkles on his skin, which he’ll sport until he adds a padding of fat to fill them in. 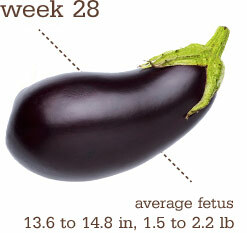 Inside his belly, his pancreas — essential for the production of some important hormones — is developing steadily. Week 23 -Turn on the radio and sway to the music. With her sense of movement well developed by now, your baby can feel you dance. And now that she’s more than 11 inches long and weighs just over a pound (about as much as a large mango), you may be able to see her squirm underneath your clothes. 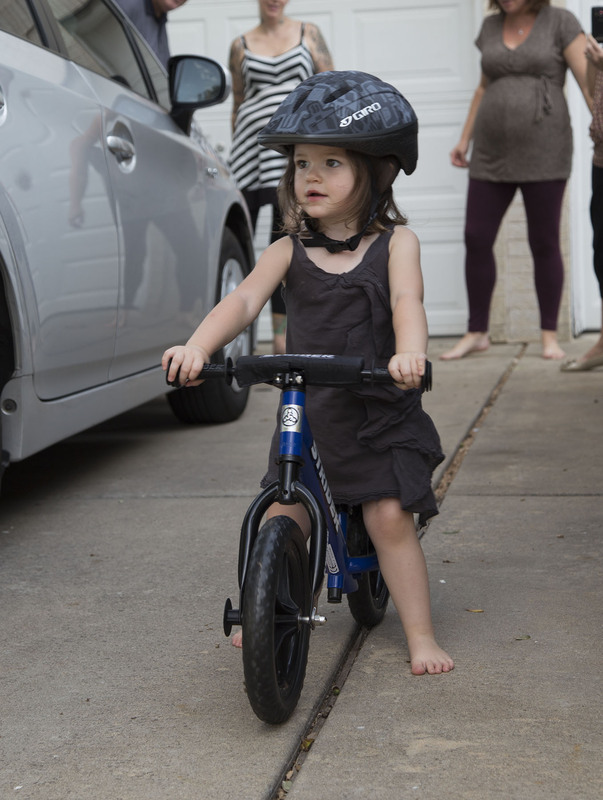 Blood vessels in her lungs are developing to prepare for breathing, and the sounds that your baby’s increasingly keen ears pick up are preparing her for entry into the outside world. Loud noises that become familiar now — such as your dog barking or the roar of the vacuum cleaner — probably won’t faze her when she hears them outside the womb. Really good…fall is here, the days are cooler, and that has helped a ton! I can get outside and not feel like I’m going to drop over from heatstroke. But I think that would also be the case even if I wasn’t pregnant! I’m feeling the baby move more and more…still nothing too dramatic, but I’ve begun to see the first movements from the outside. Just little pops here and there, but it’s nice to feel. I am noticing that I need more sleep, I think; which is hard since Scott and I are used to staying up late watching tv or movies together. But waking up in the morning is feeling harder and harder, so maybe my body needs a bit more rest. I did take a nap yesterday during Urijah’s nap and it was wonderful. Just what I needed! 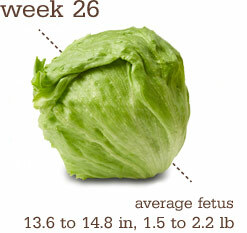 I finally had my prenatal appt this past week and I am up 16 lbs from my pre-pregnancy weight. Darn you, Haagen-Dazs. I do miss having my family here, even though it was a busy week! We had a great time and I will do another post to recap their visit and U’s birthday. A good time was had by all, I’d say! I got in my head this past week that I would need a couple more crib sheets for the new baby’s bed, since the 4 that we currently have wouldn’t really be enough for both kids. It felt urgent, like something I shouldn’t forget to do, so I had to stop right away and got 2 more sheets, only to realize that it’s probably going to be a while before the new baby even sleeps in his own crib. But hey….better to have them on hand right? Ha! Hopefully this week I can take pictures and post the guest bedroom furniture online for someone to come buy. Hopefully it goes quick and with not much hassle. Then I can empty out the closet and the room will be ready for carpet cleaning and painting! 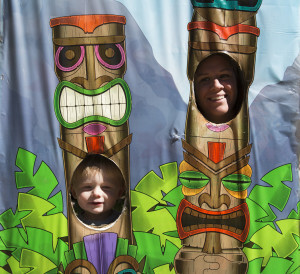 The weather was wonderful – we had a lot of outdoor family time which was really nice. 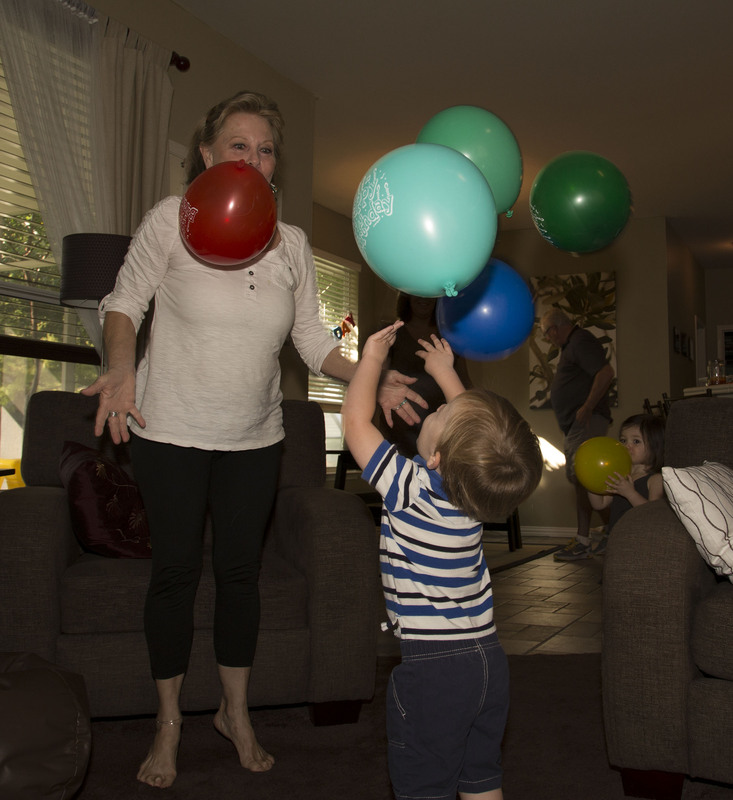 And U’s birthday party – it was so fun and he seemed like he enjoyed himself! 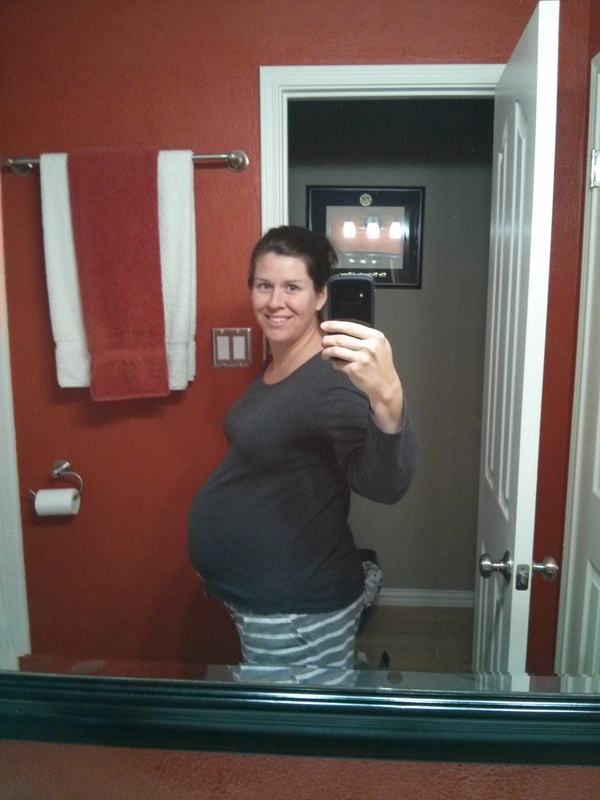 21 weeks – kind of a boring update. I’m sorry. 10 Oct 2013 Comments Off on 21 weeks – kind of a boring update. I’m sorry. 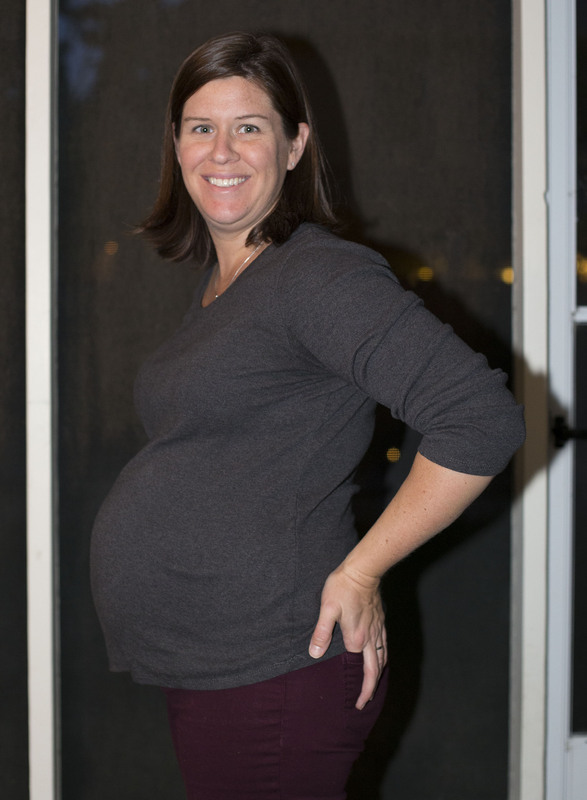 At 10.5 inches and about 12.2 ounces, she’s big enough now that you’ve probably been feeling her movements.During week 21, baby’s digestive system preps for the outside world; she’s manufacturing meconium — the tarry black substance you’ll find in her first dirty diaper! Overall..not bad. No heartburn since those 2 days last week. Must have been a fluke thing. Or, it could have been that we had some lemonade in the house and I had some both of the days I had heartburn, and that’s it. Coincidence? Maybe…so long as it stays gone, I’m fine with it. And I might just avoid lemonade from here on out, just in case. Otherwise, I’m just feeling sort of large. 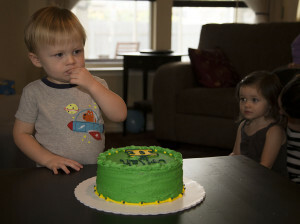 And I’m feeling slightly overwhelmed with the change in my *almost* two year old. 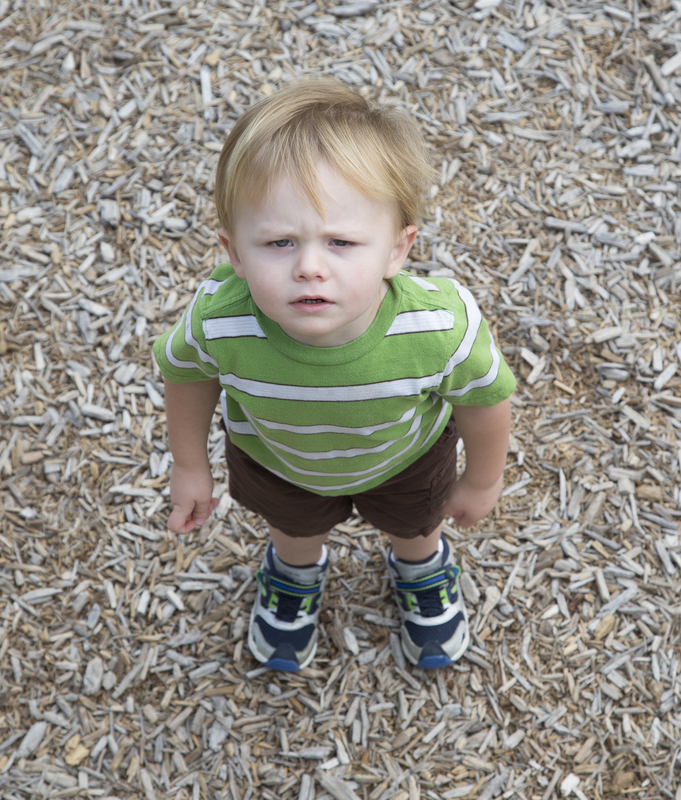 He has started getting frustrated and tantrum-y when things do not go his way. I feel like it was a sudden change and I’m not sure what to do with it, but thankfully, the bouts of it are pretty short and he is usually pretty easily distracted. He’s such a good and easy-going kid, that this sort of behavior is just foreign. I hope it will be a pretty short phase. On the flipside, he is really into hugging and kissing right now, so that mostly makes up for the whining and crying. Today was supposed to be my prenatal appt, but it got cancelled since there is a mom in labor at the birth center. Hopefully we can get it rescheduled soon. Family is here! yay! We’re having fun so I’ll keep this week’s update short. Nothing really new this week on this front. 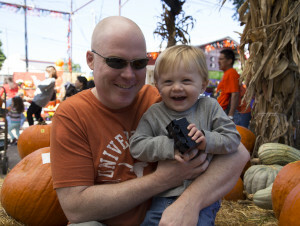 I can’t think of anything particularly stand-out except for Urijah’s first real haircut a couple nights ago. He was freaked out and he cried, but a lollipop and holding Dad’s hand for the duration seemed to help quite a bit. 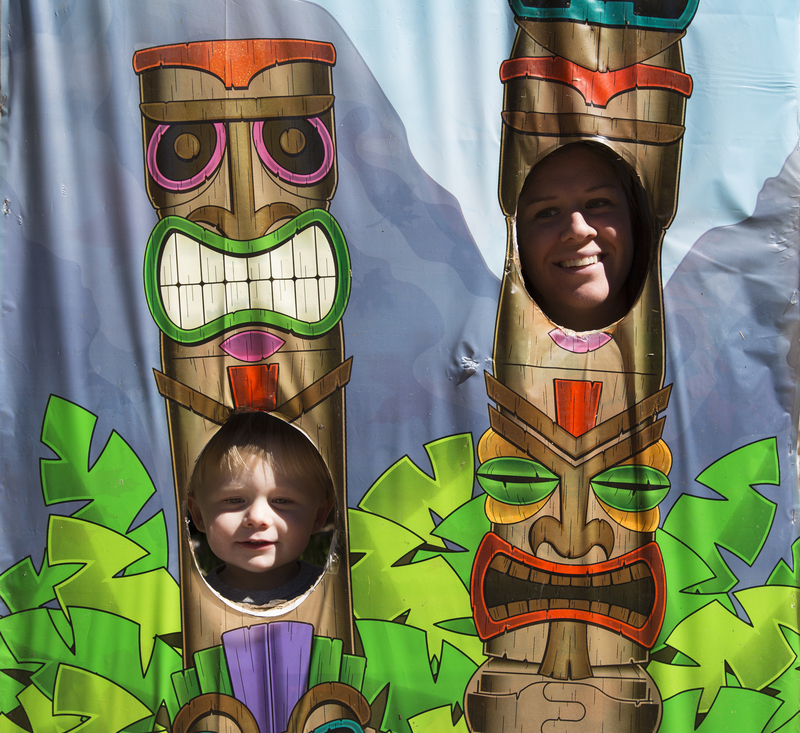 we missed last week’s picture, but I’m going to try really hard to get one taken this week. Who knew it was so hard? !